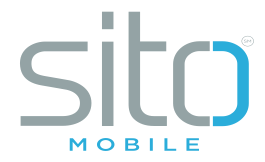 SITO Mobile Ltd. has joined with The Digital Place Based Advertising Association. New Jersey-based SITO Mobile provides brands a mobile engagement platform brands to increase their awareness, loyalty sales through real-time analysis of campaign and individual ad data. The company has worked with companies including Coca-Cola, Amazon, Mercedes-Benz and Samsung. "SITO Mobile is making tremendous inroads in the realm of location-based advertising, helping marketers influence consumers on their path to purchase," said Barry Frey, president & CEO, DPAA. "We welcome them to our ranks and look forward to working with them to advance their business and their role in making digital-place-based media a critical component of the video advertising ecosystem for all marketers."